There are certain things that you need to be aware of when you’re hiring hardwood floor refinishing companies near you that will make the process easier for you. It not only help you in finding the right contractor, but being sure that your floor gets the right treatment and that it stays protected for a long time to come. By knowing these things, you’re more easily capable of talking with different contractors and screening them to see who to choose. While getting the work done by a pro, it’s never a bad thing to ensure that you have a basic understanding of the different things that are going on. There are certain things the contractor will do to prepare the space prior to being able to refinish it. Although the job needs to be done properly, there’s no need to spend too much money on it either, which is why we have made it easy for you to get quotes from the relevant contractors by simply filling out the form at the top of the page. Finishing your hardwood floor is an important part of protecting it against wear and tear, and different finishes have certain levels of durability. There are also finishes that are better or worse depending on whether there are moisture concerns in the room where it has been installed and how you want your floor to look. Water-based polyurethane: This type of finish isn’t as yellow as some of the other options. It dries fast and is more clear than other options and contains plasticizers and resins. In places like bathrooms where moisture is a concern, this is a better option than oil-based finishes, creating a more durable protection. With its durability, it’s also common in commercial settings. Oil-based: Less moisture-resistant than water-based, but still a very durable finish made from synthetic resins, plasticizers among some of the ingredients. It takes longer to dry and will add a yellow-redish tone to the floor. Solvent-based polyurethane with moisture-curing: This finish is not easy to apply but does provide superior protection against moisture and spills. It actually uses the moisture in the air to create a more durable finish. Sealers that penetrate the floor: Solvent-based finishes penetrates the wood and seal it, while finishes made from natural oils will still make the wood harder when it dries, although without penetrating it. Wax: It dries quickly and is easy for a pro to repair when the need arises, and can provide sheen too. Acrylic and Swedish finishes: Alcohol-based sealers combined with acid curing creates a finish that will remain beautiful for years to come, and if you want something truly durable this is one of the go to recommendations of most pros. Depending on the sheen and protection you’re looking out for, one type of finish will be superior to another, and it’s important that you talk those considerations over with wood floor refinishers. The color will also be affected by your choice of finish. Finishing a wooden floor is not a thing you end up doing every single day which is why we have put together some tips and recommendations on different things that you can expect during the process. The work itself will take a whole day and the you need to let it dry too before being able to use it. It’s not uncommon that such a project takes an entire day to complete, and it will only take longer the bigger the space is where it needs to be done. First, you will have to get all the furniture and other things out of the room. A good contractor, however, will be process oriented in their approach. The floor sanding company will need to prepare the area which involves sanding and cleaning and you need to make sure that you schedule enough time for the project at a time that is convenient for you. For the floor to dry and cure, you may need to wait as much as a week depending on the finish you choose. If it’s important for you to be able to use the floor again very soon, you may want to talk with the pro about choosing the right finish. Read through the different options. When you have used the form to ask for quotes, it’s a good idea that you read through our description of the different types of finishes as some are also more expensive than others. 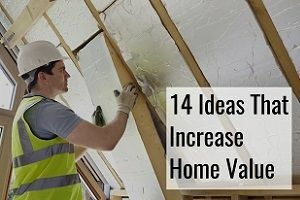 Talk with the contractors about your needs and desires and they’ll be able to provide you with the best recommendations. Wax is probably the most commonly chosen finish homeowners go with due to the fact that it penetrates the wood without leaving a strong smell, although there are other options that are more durable. You can save money by helping with the preparations yourself. While you can get the contractors to move everything for you, there’s also the option that you help by moving a lot of your belongings before they get there, and especially your most priced possessions including art and other personal belongings. 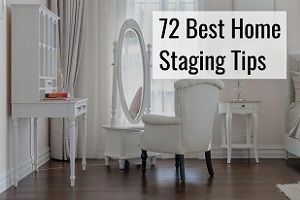 If you do not want to move the furniture yourself, you can leave it and have them move it when they get there, but having moved some items will make it easier for the pros to get started on the job, and fast. Some occasions make it easier for you to move out during the process. While you may not necessarily want to have to move out, it might make it easier because you will need to move all the things in the room while the project is ongoing, and it could therefore simply be easier to stay with a friend. The fumes of some of the finishes can also be rather strong and not something you want to endure, especially if you have kids. Additionally, it may be difficult to keep pets out of the part of the house where the finish is curing if there’s no door to close. 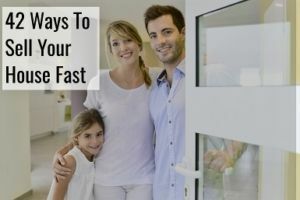 By moving out during the work you’re also letting the contractors work without getting disturbed, while having the family live in the home could easily cause interruptions and delay the project, meaning both you and the contractors win by doing it like this. You can either get a touch-up or completely redo the finish. With a project like this, you can either have a touch-up or full overhaul done. It’s always a good idea to hear the recommendations of the pros. With a touch-up you’re generally addressing the areas that seem to have problems and the areas where the finish is still strong will simply be left alone. Overhauling it is undoubtedly a bigger and more expensive process which involves refinishing the entire floor in a specific part of your home. Older floors with more damage will often need to have this done to restore the original beauty of the floor, which also involves the necessary sanding. Any and all necessary repairs are done, and the coating will then be applied, meaning you will also be paying a higher price because of the need to sand the floor. It will also visually change more than a simple touch-up will and it will be more long-lasting results you will also get from it. By having a better understanding of the process, it will come to you as less of a surprise when you realize that a floor refinishing will be somewhat of an inconvenience, although also helping in ensuring the durability of your floor. By knowing the process, you can also better discussions with your contractor about the different options. At the end of the day, if you work together with the contractors, you’ll have your floor looking like new again. To ensure that you’re not paying too much for the project, we encourage you to get quotes from competing contractors, and the easiest way to make that happen is to fill out the form at the top of the page, which takes just 2 minutes and is free for you. 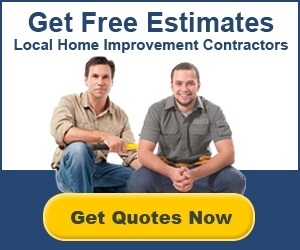 We’ll then match you with the 4 most relevant contractors that can bid on your project. When you get the quotes, you’re free to sign with one of them, although there’s no obligation. What are you waiting for?